The Cuisinart CCB-W2 is a wood cleaning brush, boasting 14 square inches of stainless steel bristles to clean a grill as fast and easily as possible. The 18” Wood Grill Brush sports a classic carved wooden handle with a great grip to help make the chore of cleaning a little less painful. The leather strap keeps the cleaning brush within arms reach of the grill at all times. 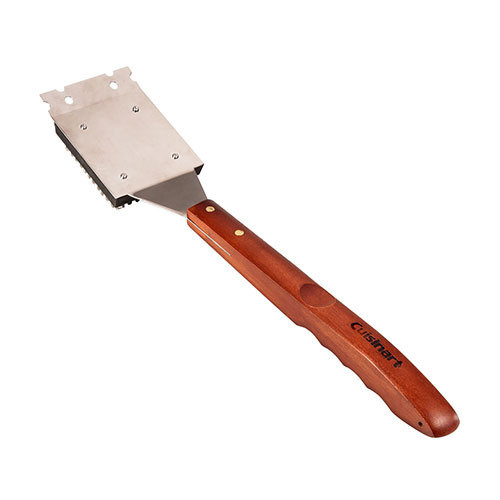 The Cuisinart Wood Grill Brush has many exciting features for users of all types. You can extend the lifetime of your Cuisinart Wood Grill Brush with the purchase of a FactoryOutletStore Factory Protection Plan. 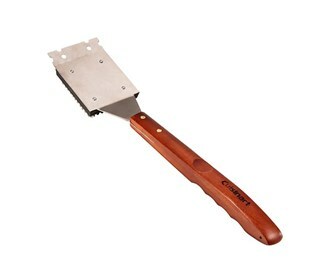 See the Cuisinart Wood Grill Brush gallery images above for more product views. The Cuisinart Wood Grill Brush is sold as a Brand New Unopened Item.